Members of China’s Tax Increment Financing (TIF) Committee approved their proposed 2019-2020 expenditures unanimously at a Jan. 28 meeting. The total to be taken from TIF revenues is a little more than $457,000. The largest amount, more than $200,000, is designated for Phase Two of the causeway road project at the head of China Lake’s east basin. The committee had no update on plans for Phase Two, which is intended to make the area between the new bridge (Phase One) and the boat landing more usable for fishing and other recreation. Town Manager Dennis Heath said Phase One will be finished in the spring, when the final coat of paving is applied to the road. 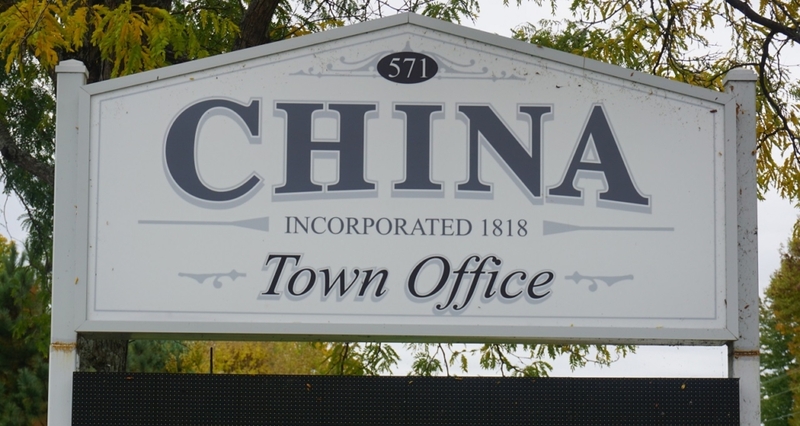 At the same time, he said, the town plans to grant the China Baptist Church trustees’ request to fill potholes in their parking lot caused by construction equipment parked there. The next-largest expense category in the TIF budget benefits China Lake: $50,000 to the China Lake Association’s LakeSmart program, half designated for improvements to three camp roads identified in 2016 as sources of run-off, and $20,000 to the China Region Lakes Alliance. If voters approve the budget as presented, Thurston Park is slated to get $52,000 for maintenance and the China Four Seasons Club $50,000 for trail work. Frank Soares, temporarily abandoning the TIF Committee chairman’s gavel to speak for the club, said the trail work will be spread over two years, repairing two sections of the power line trail north of Cross Road, parallel to Lakeview Drive. TIF money comes from taxes paid by Central Maine Power Company on the power line and the substation in South China. Committee member Stephen Nichols commented it seemed fair to use CMP’s money on CMP’s right-of-way. In other business, committee members talked about the revolving loan fund being developed with the assistance of the Kennebec Valley Council of Governments and decided they should meet with the KVCOG staff member involved in the program. They scheduled their next meeting for Monday evening, Feb. 25.